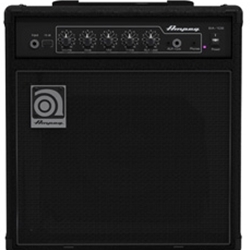 Ampeg's BA-108 8" Bass Combo delivers classic Ampeg tone and performance-driven features in a highly-affordable package ideal for practice. Perfect for small spaces, the new 60-degree monitoring angle delivers unmatched clarity. With front-facing controls and features built for silent practice, the Ampeg BA-108 is the most professional practice amp for the money.